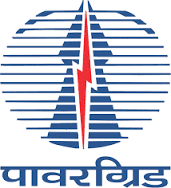 Power Grid Corporation of India Limited (PGCIL) has published a latest recruitment notification to recruit Assistant Posts. Job aspirants who are eligible and interested they can apply by downloading application form from PGCIL official site. Applicants also check other details related to PGCIL Latest Recruitment like how to apply, selection process, previous question papers, model papers, answer key, results salary, educational qualification, age limit and more details are given below. Address: The Chief Manager (HR), Power Grid Corporation of India, SRTC, Regional Headquarters, D.No: 6-6-8/32, Kavadiguda Main Road, Secunderabad, Talangana- 500080. Part-I consists of Professional Knowledge Test with 120 questions having specific questions in Finance discipline. Part-II consists of Aptitude Test with 50 questions on vocabulary, verbal comprehension, quantitative aptitude, reasoning ability, data sufficiency and interpretation, numerical ability etc. All questions carry equal marks (1). Wrong and multiple answers would result in negative marks of ¼.